This post is about six months late — but better late than never, right? 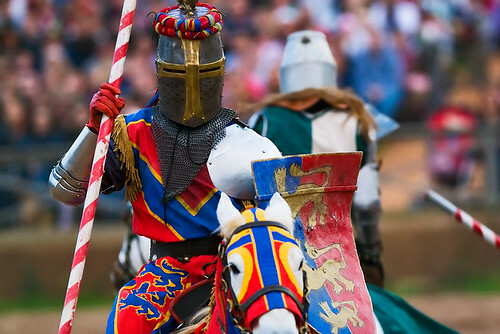 Last Thanksgiving weekend, my sister-in-law Emily and I went to the Texas Renaissance Festival, where I spent much of the morning working on a multimedia project about an on-site brewery. The rest of the day, we wandered around the grounds. 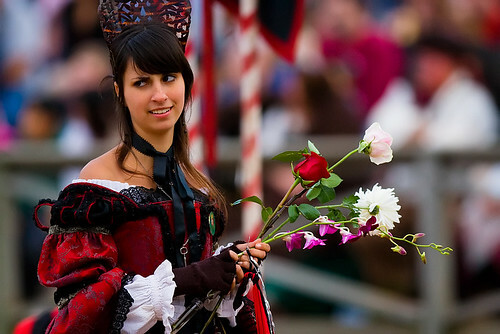 Emily had never been to a “RenFest” before, and I hadn’t been to the Texas edition since I was pretty young. 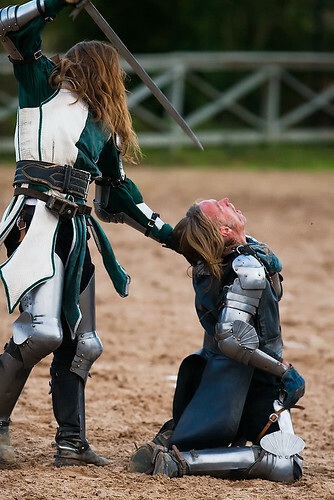 One of the ladies whose honor was being defended in the final joust. …and those who performed for the thousands of people who attended. 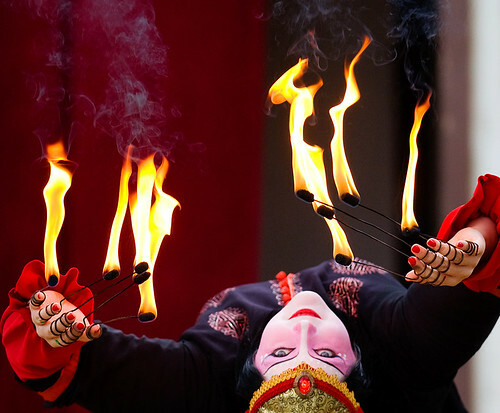 A member of the Clan Tynker performing group plays with fire. Death at the final joust. You can check out a few more photos I didn’t post, too. Also — I’ll pick up the last of the spring break film (the rolls had a few frames left that I had to use) from the shop today! So all of spring break should be up before I graduate. These are AMAZING photos. Thanks for sharing! When does the festival run in Texas? The one in Maryland runs September through October but most days it’s too hot to attend. I would think it would be even hotter in Texas. It runs for eight weekends in October and November. It might be hot in the beginning of October, but when we went at the end of November, it was almost a little chilly. It helps that the entire grounds are shaded, too.